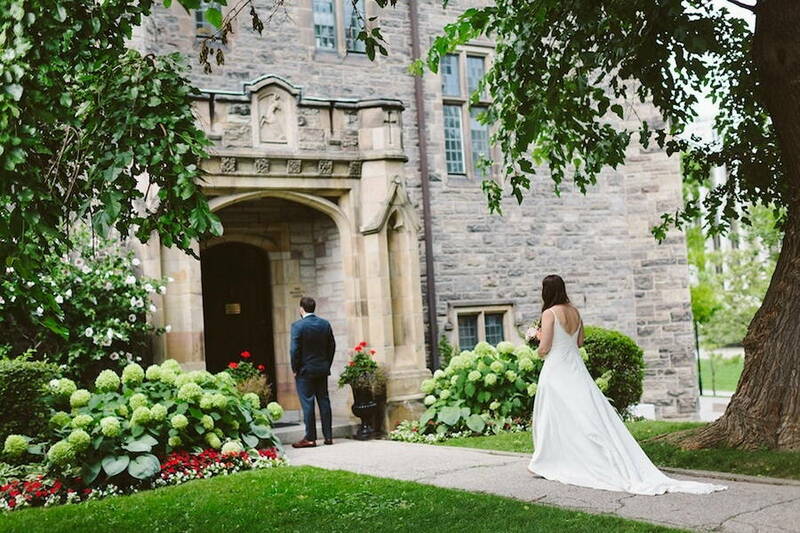 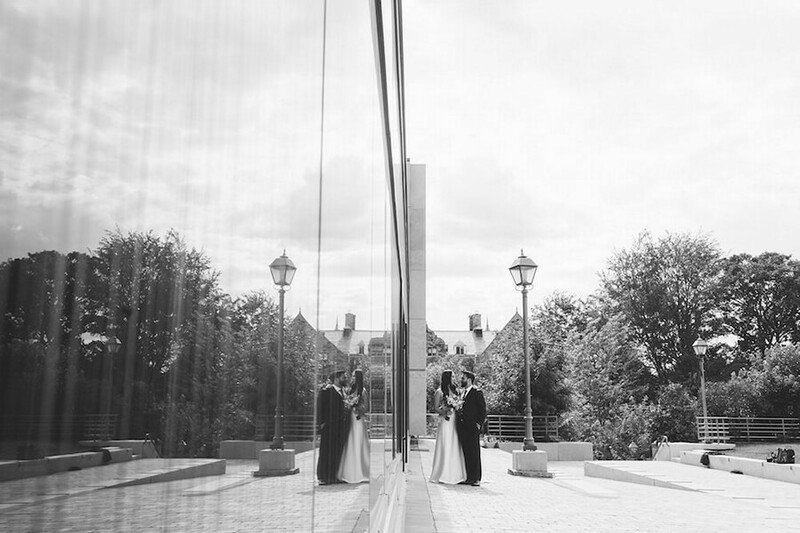 Having first met in university, by the time they got engaged, Ally and Zach knew the exact vision they had for their wedding. 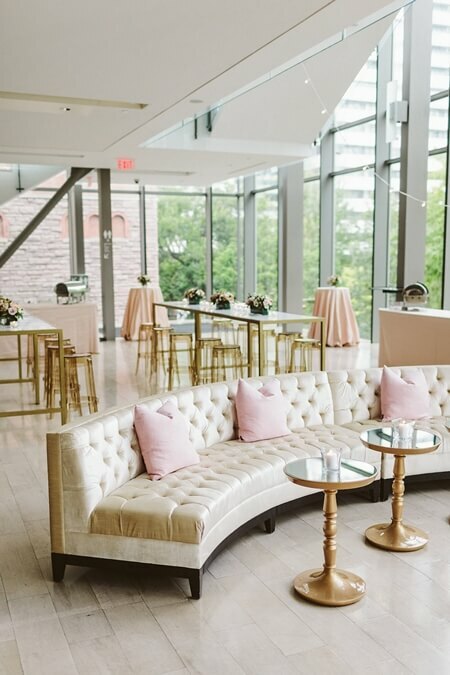 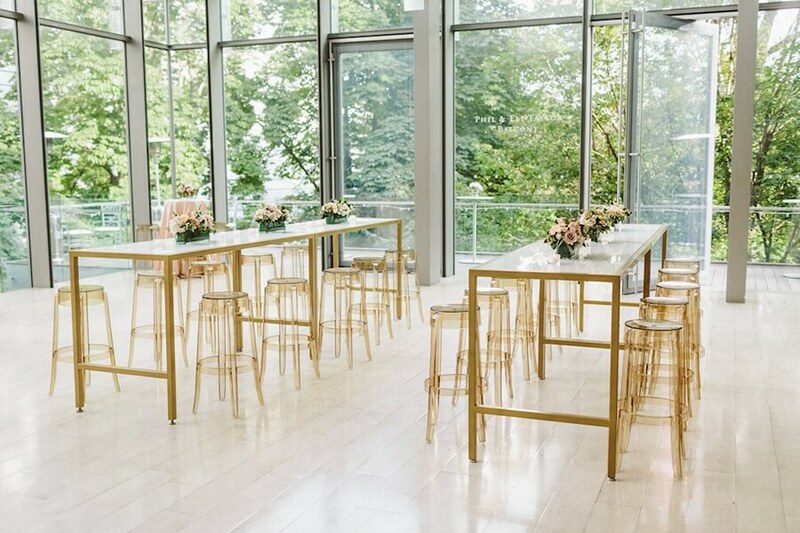 They joined forces with the brilliant minds at Bliss Toronto, and together the talented trio designed a casual-yet-elegant lounge-space in the stunning The Royal Conservatory in Toronto. 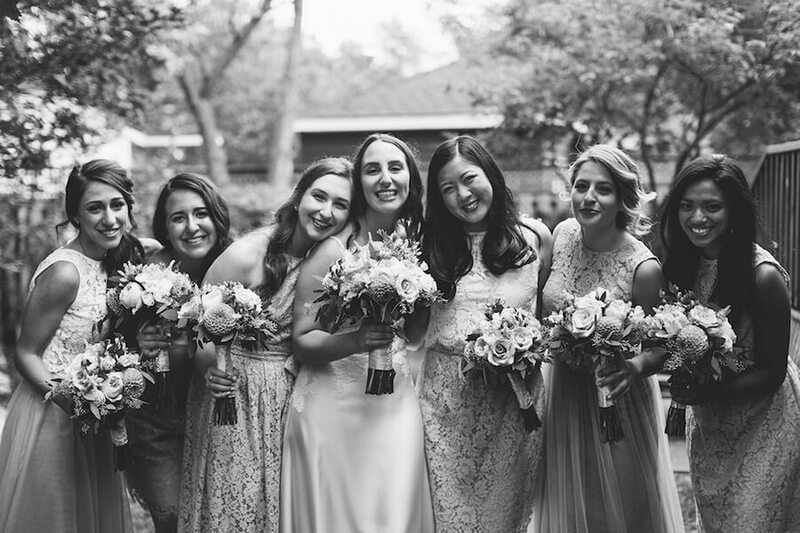 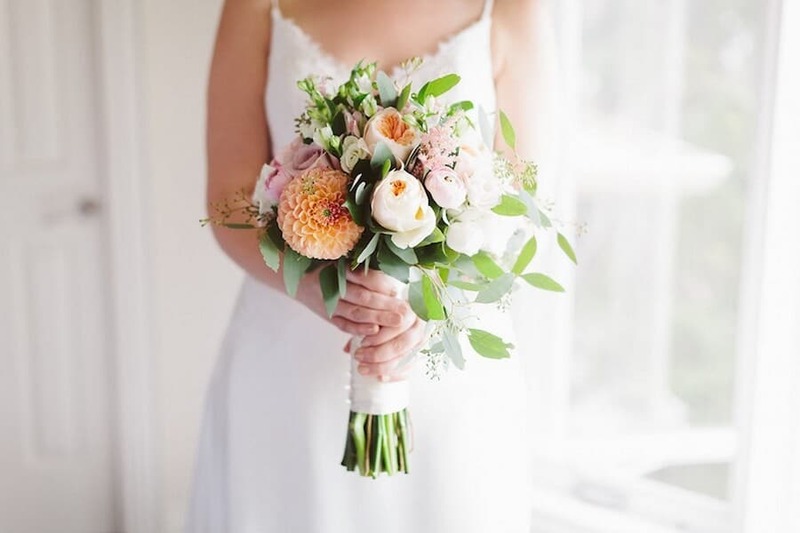 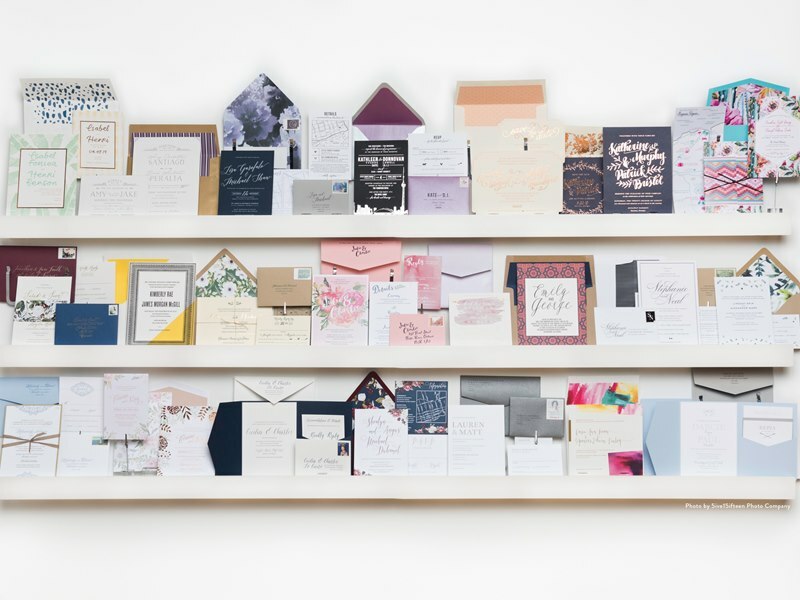 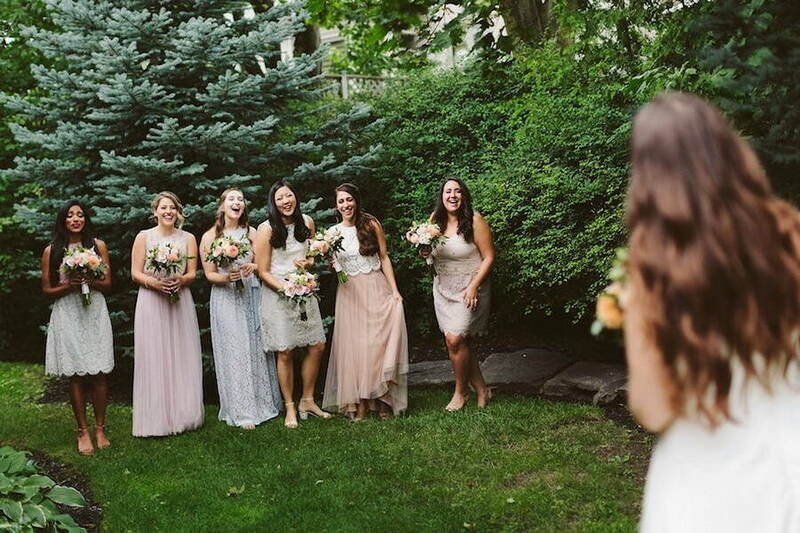 Their big day is definitely Pin-worthy, and thankfully A Brit and A Blonde was on hand to capture each beautiful moment. 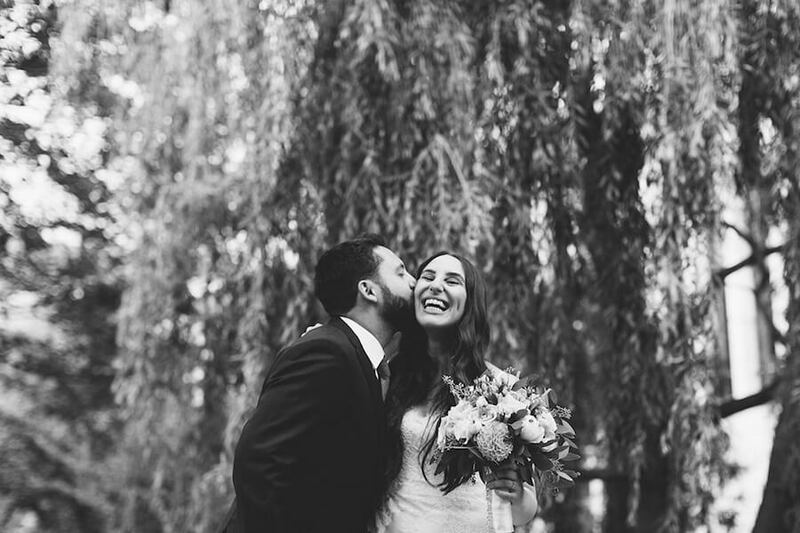 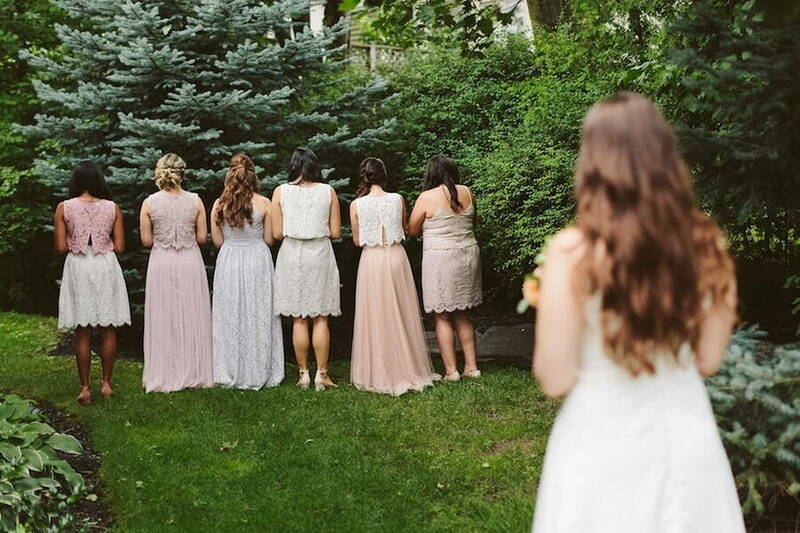 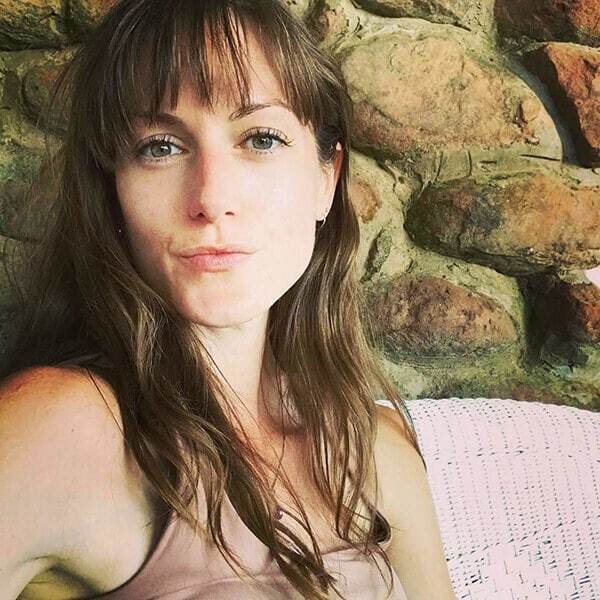 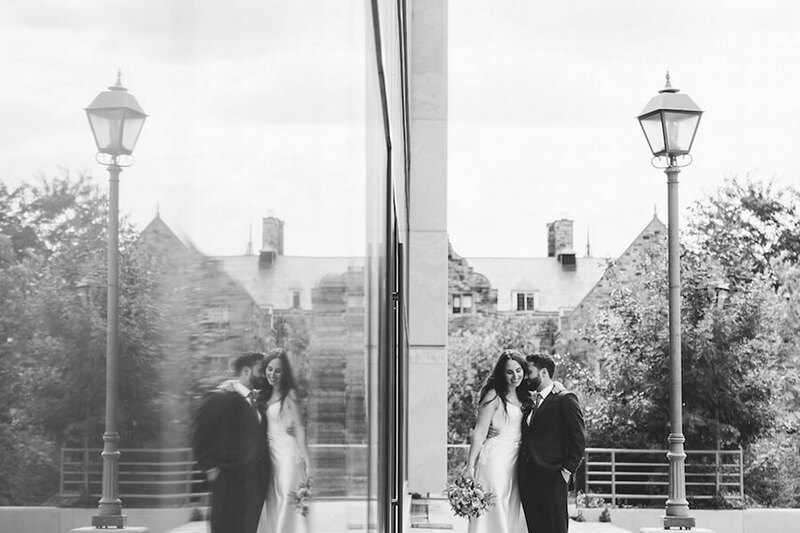 From the Bride: The wedding day was so much fun, and went by far too quickly! 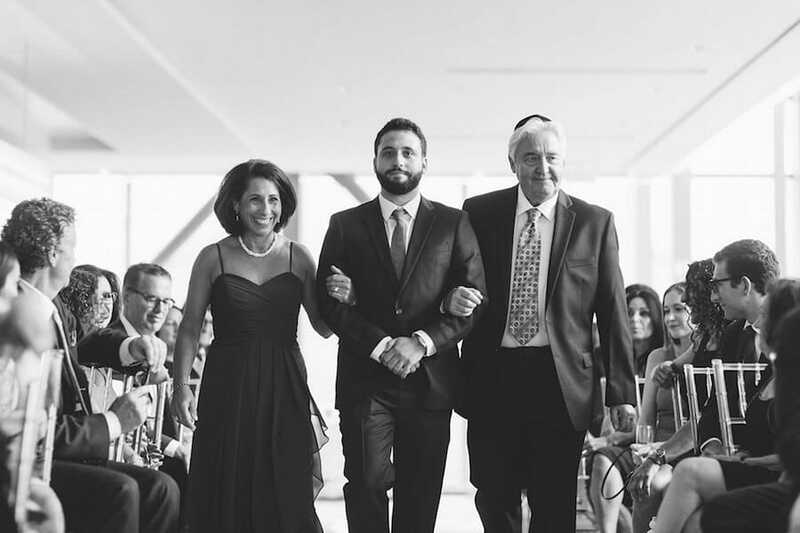 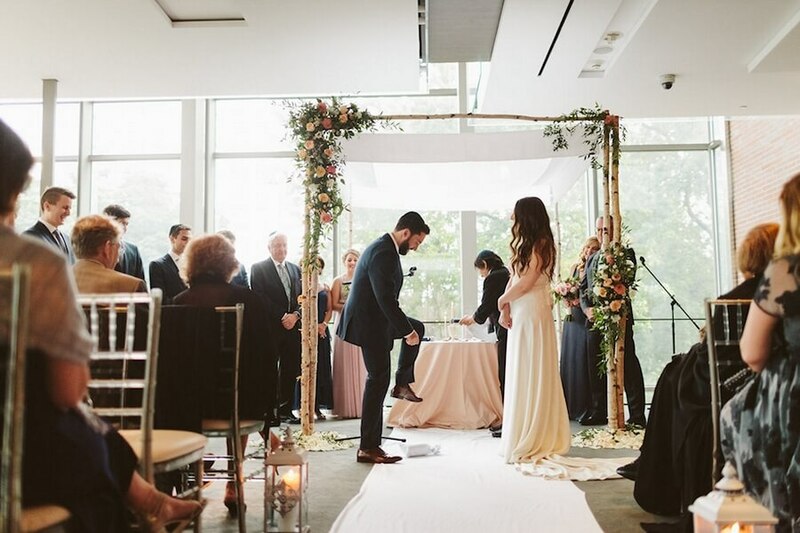 We loved celebrating surrounded by friends and family, and the ceremony and reception came together even better than we could have hoped. 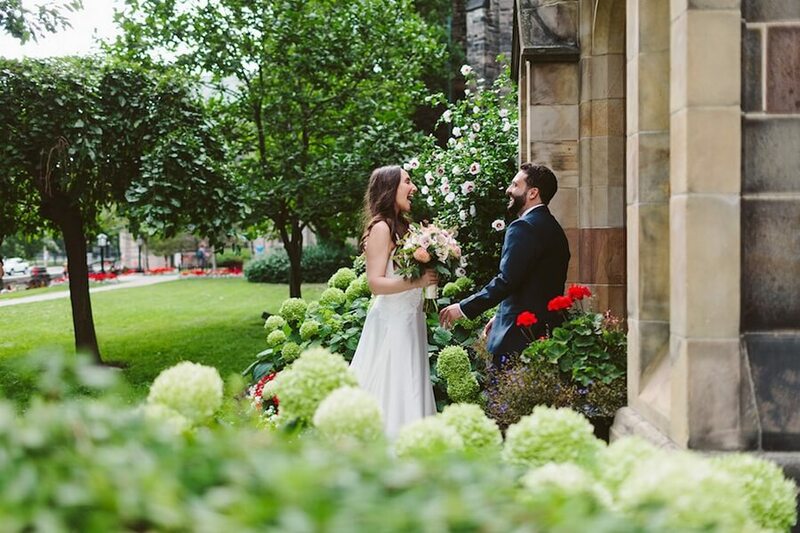 Bright blooms and stunning architecture made for the perfect backdrop for the couple’s romantic first look and adorable photo session. 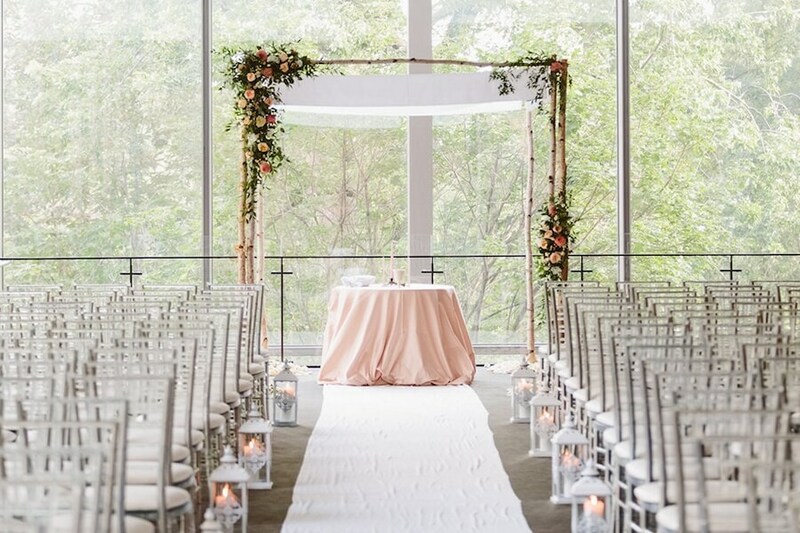 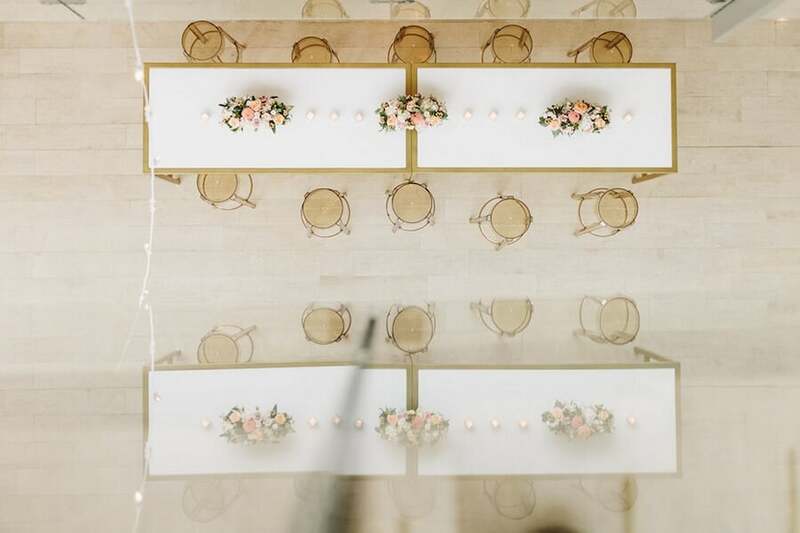 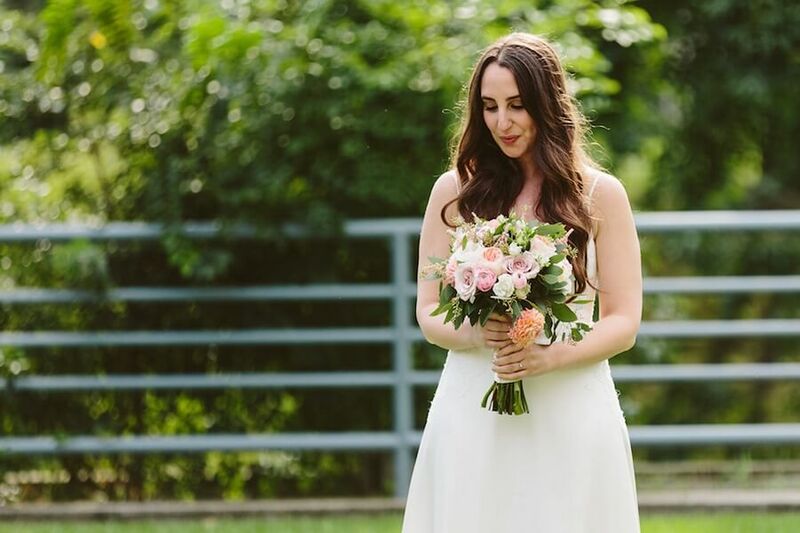 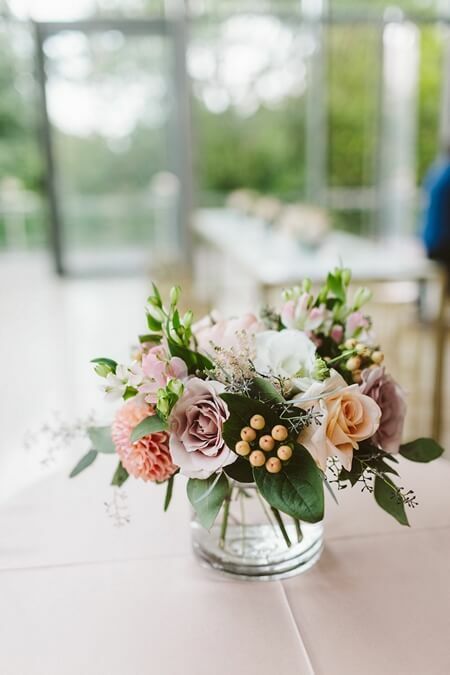 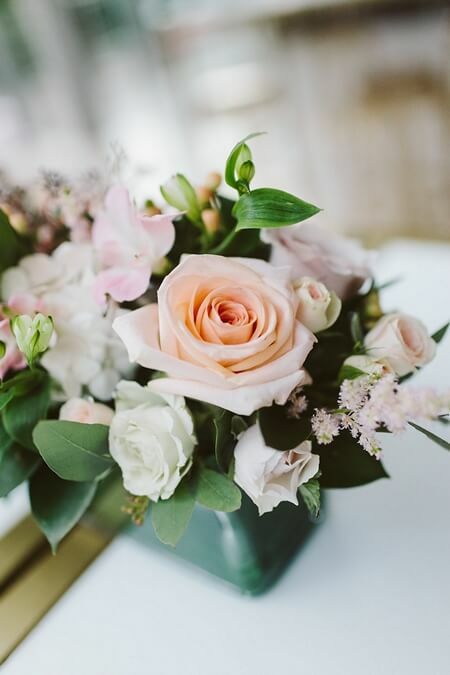 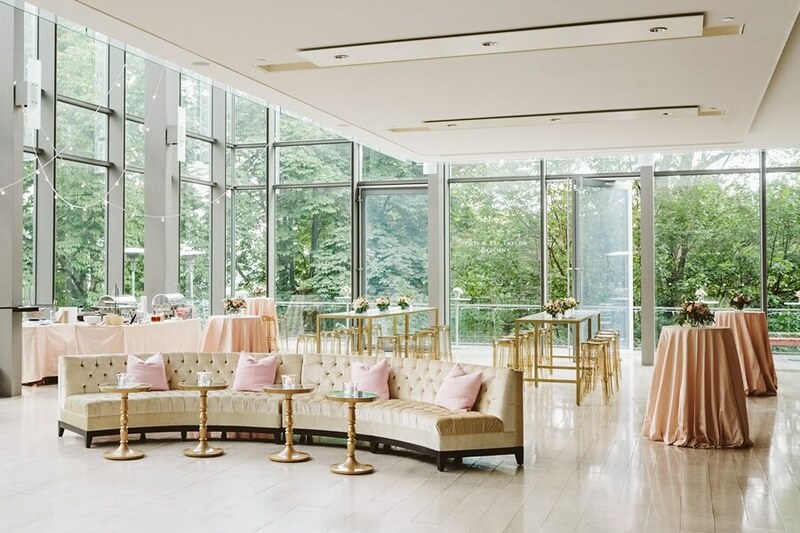 A sleek palette with pops of pink and pastel florals created a rustically beautiful ambiance for the couple’s ceremony. 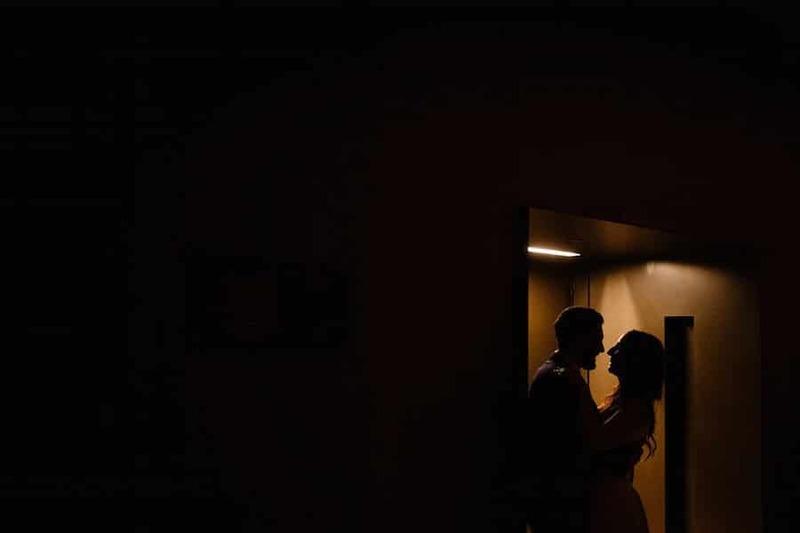 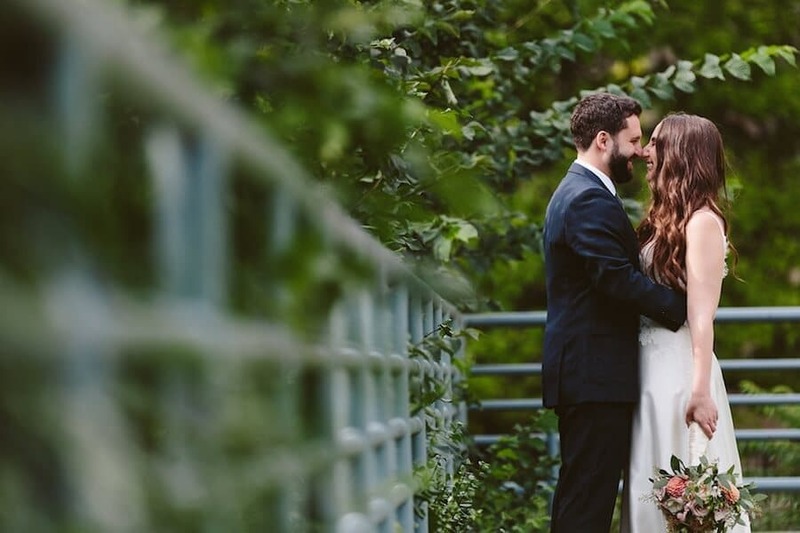 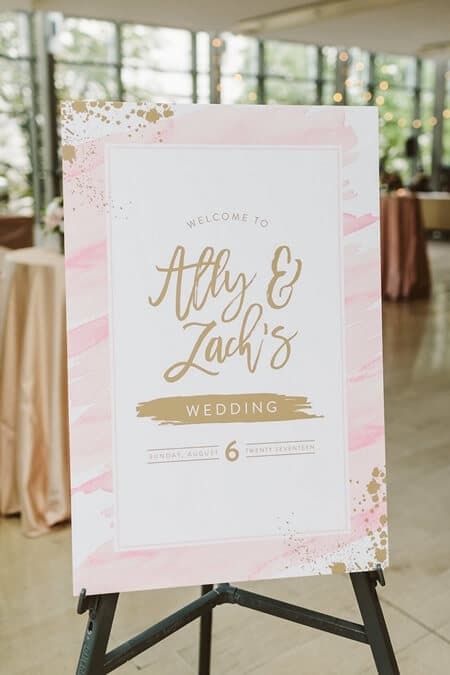 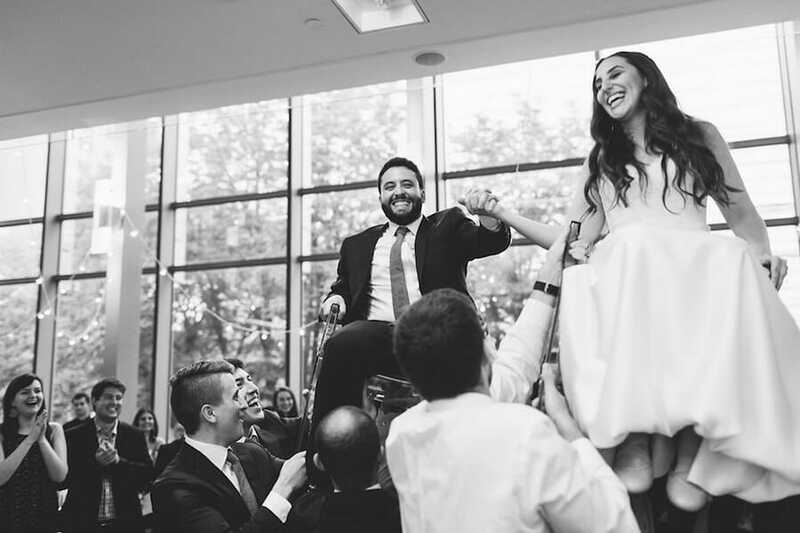 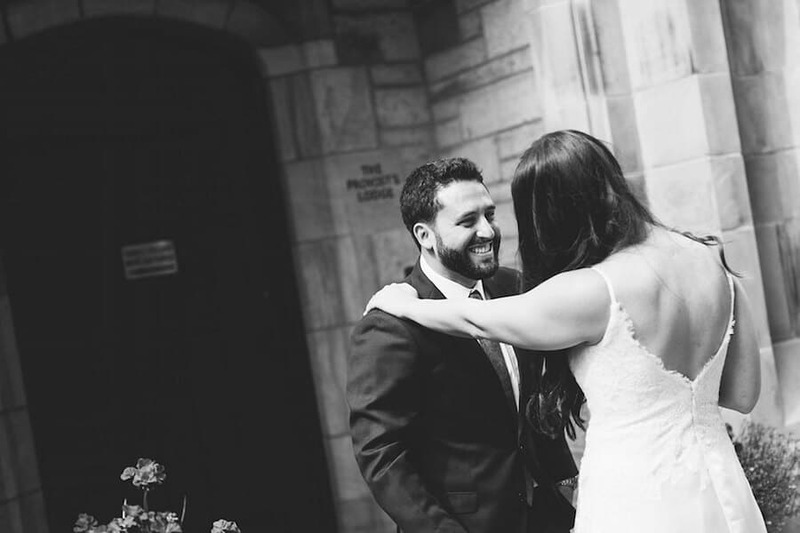 Ally and Zach’s reception was sophisticated, but also felt relaxed and encouraged great conversation, dancing, and – by all accounts – was a true party all night long. 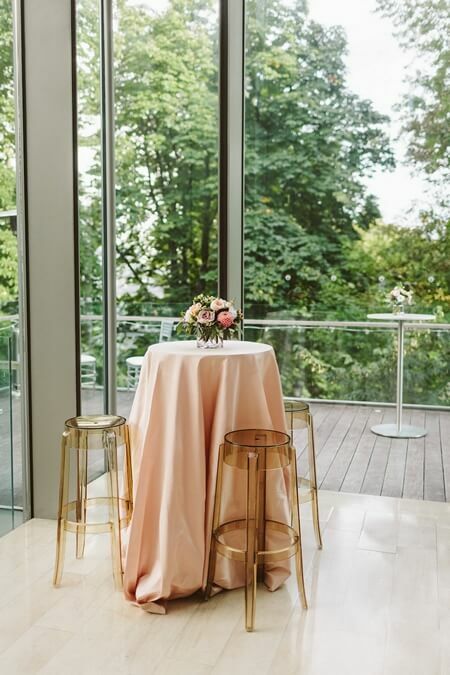 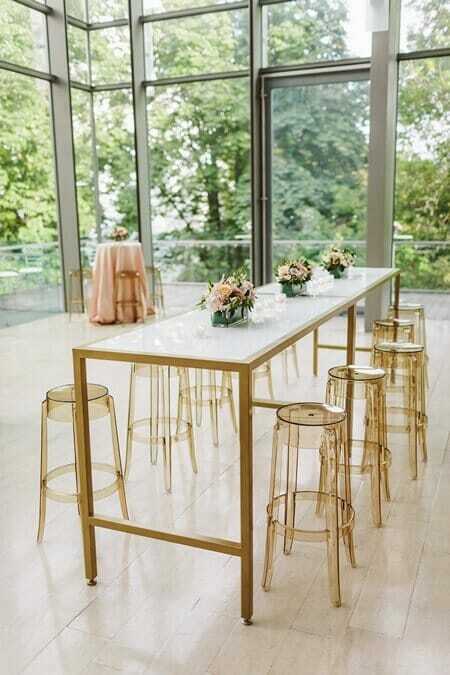 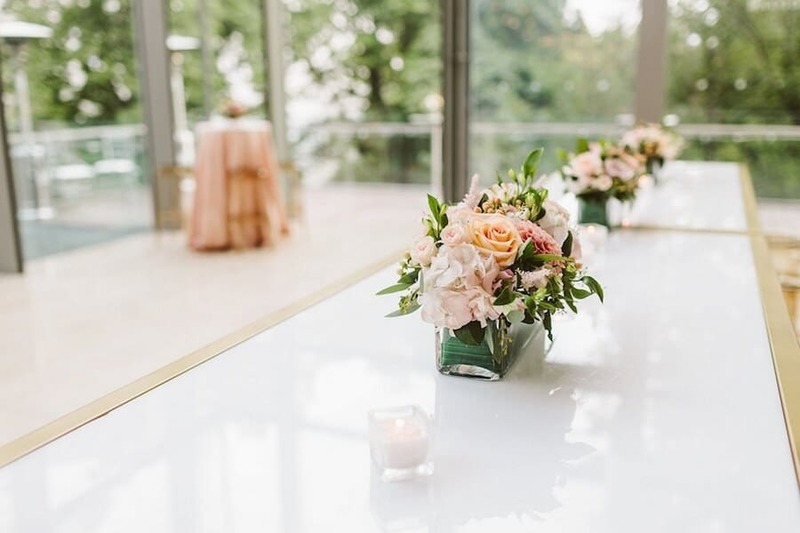 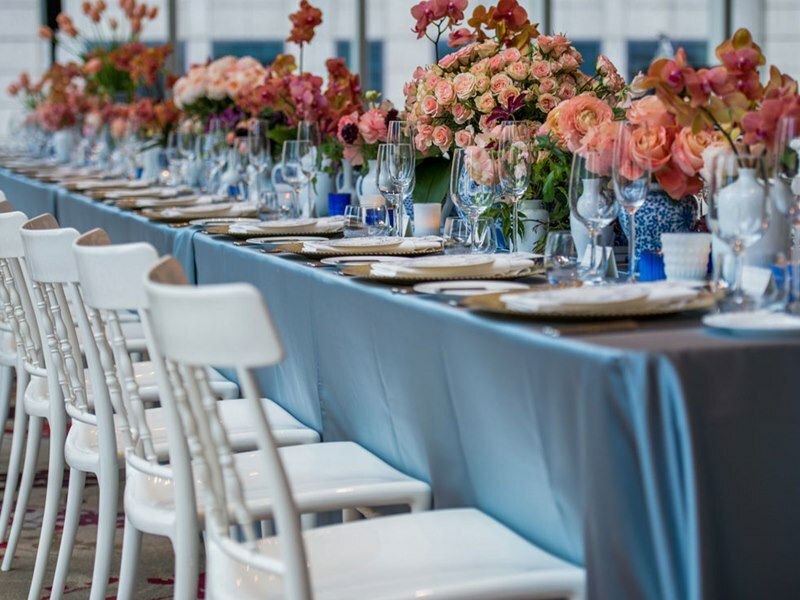 Blush and gold tones were carried throughout the lounge furniture, beautiful florals from Toronto Florist Shop adorned the entire space along with linens provided by Around the Table. 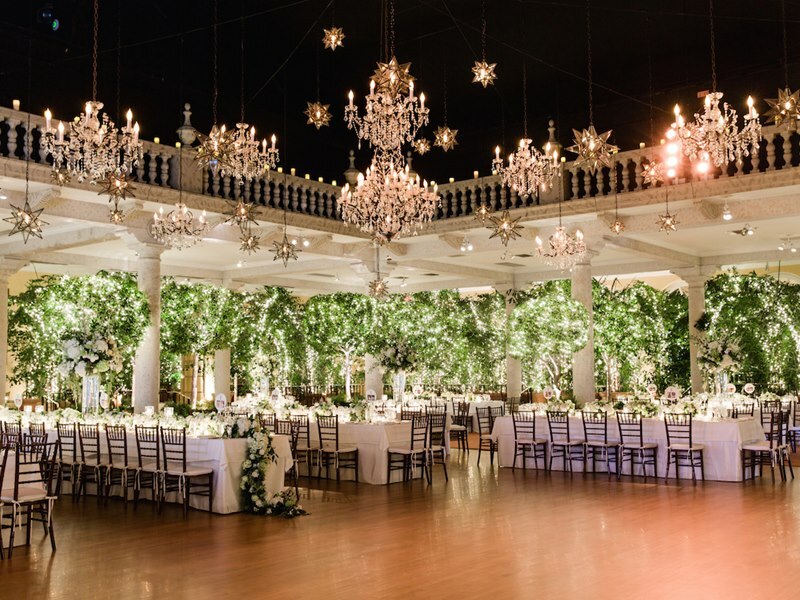 The chic affair was made even more romantic with hanging string lights and candlelight. 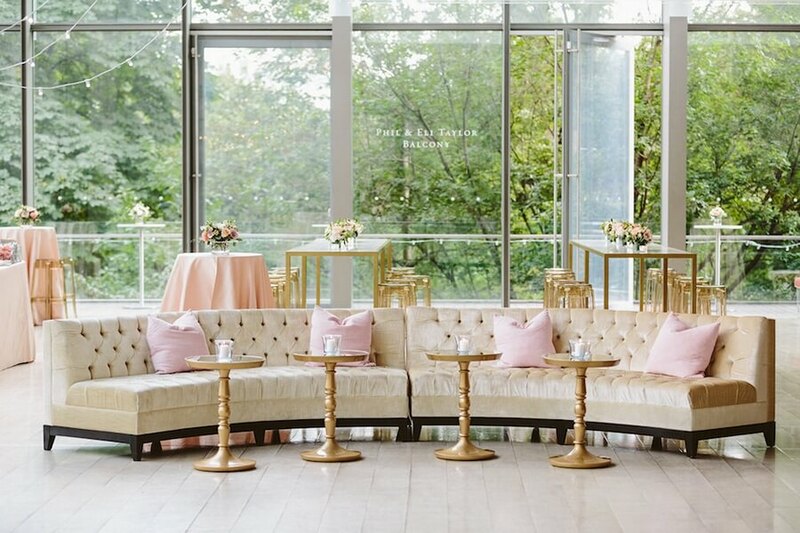 Truly a glamorous and intimate evening! 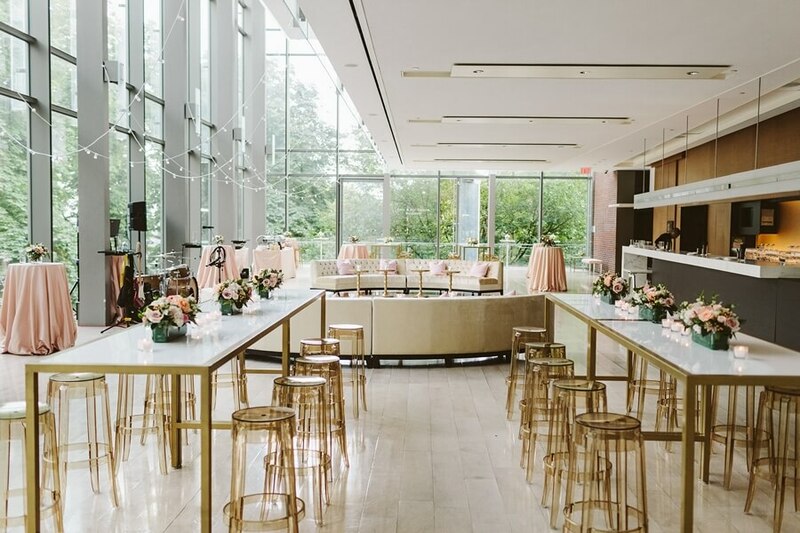 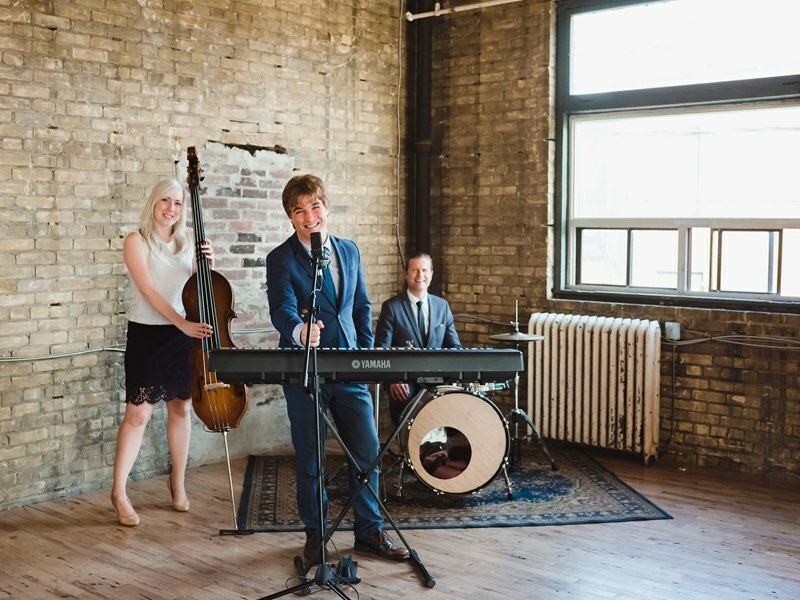 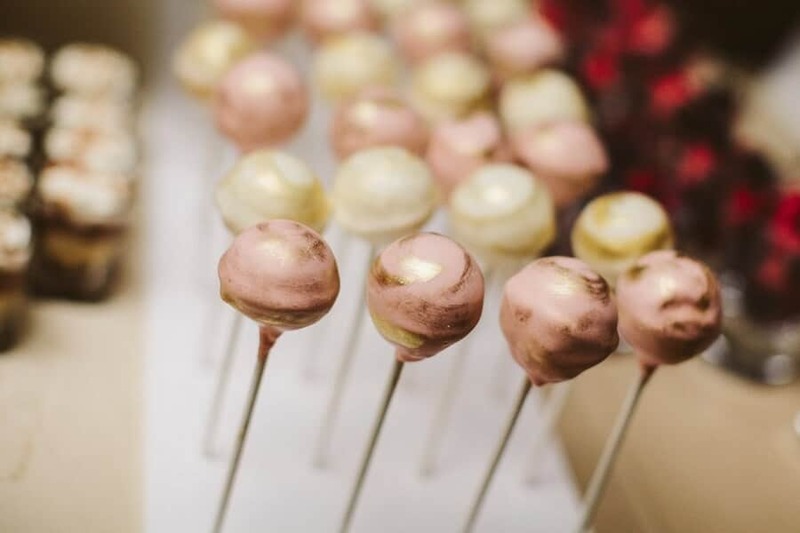 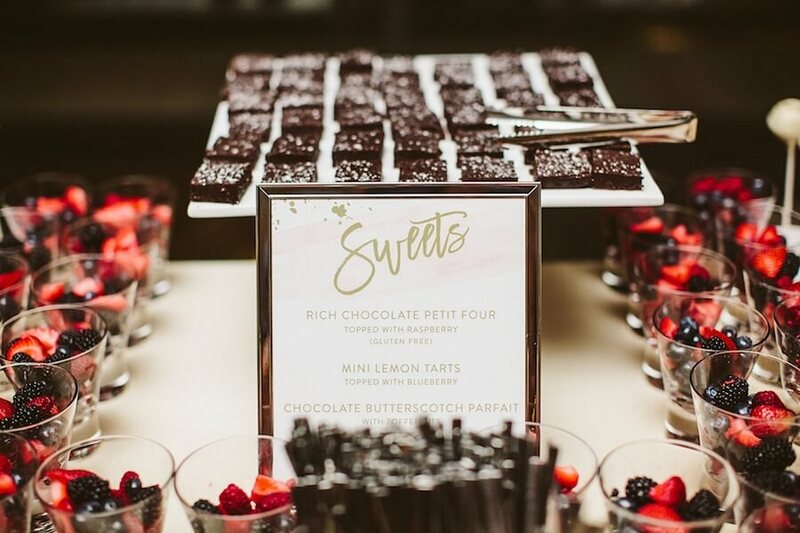 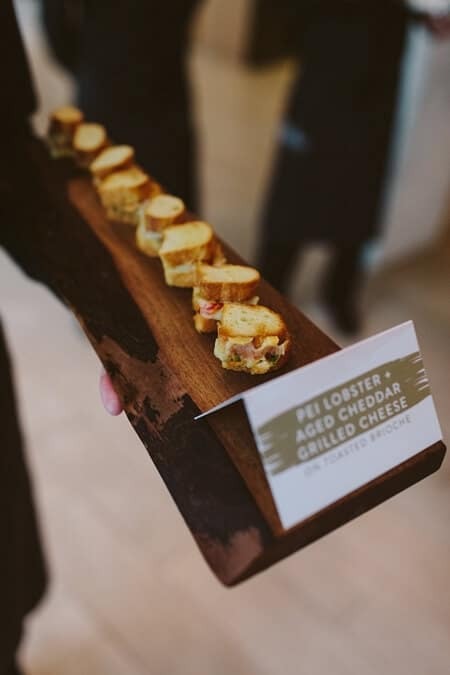 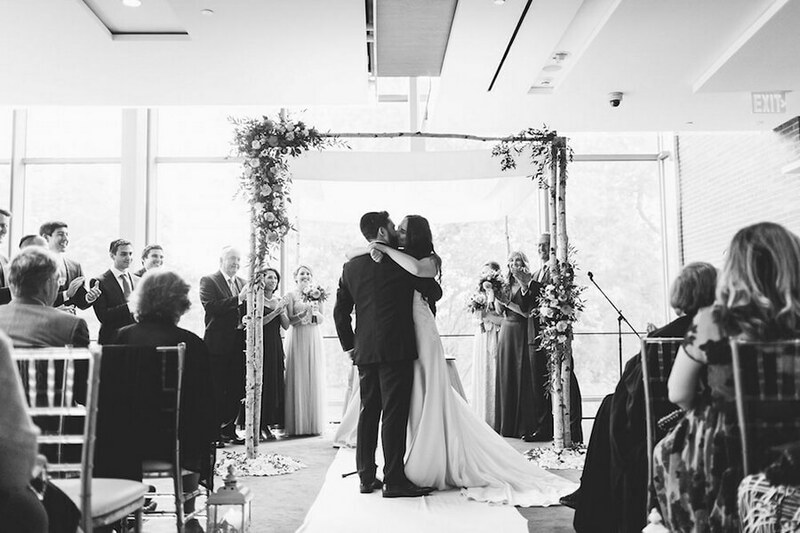 From the Bride: The lounge-style setup of the room, live band and the food stations with casual favourites made the entire night feel like one big party. 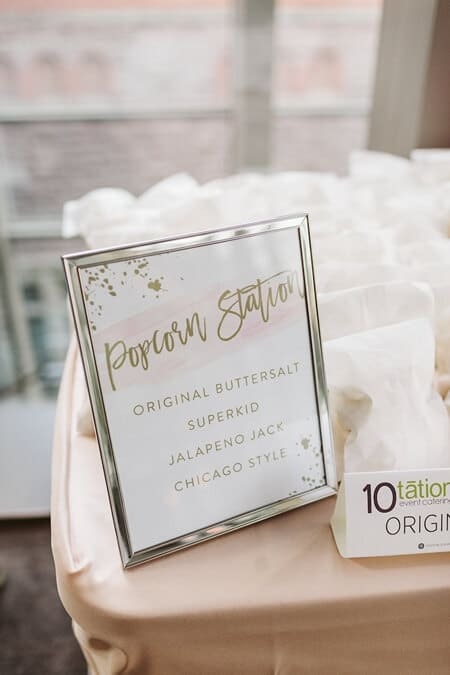 We made sure to choose vendors who we genuinely liked as people and wanted to spend time with, and were blown away by what a fantastic job that everyone did. 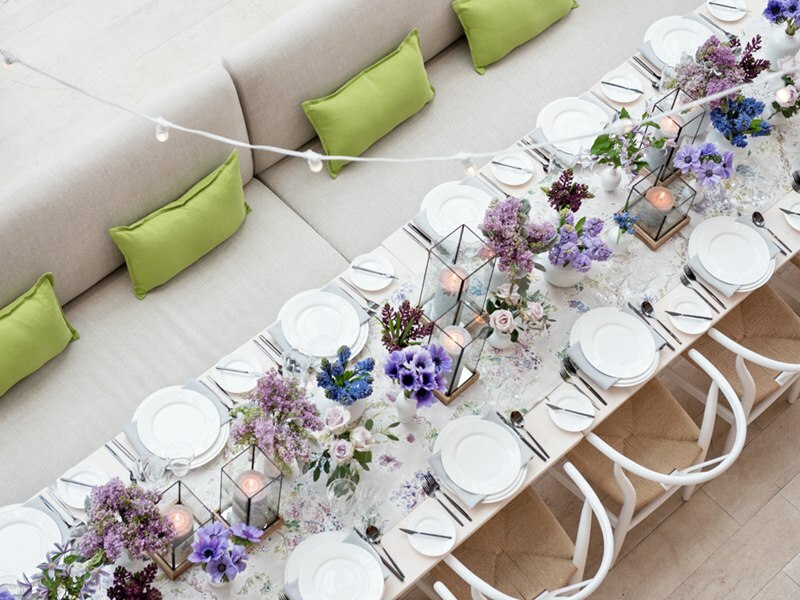 The entire day was a blur of wonderful things – great people, laughter and wonderful food in an absolutely beautiful space. 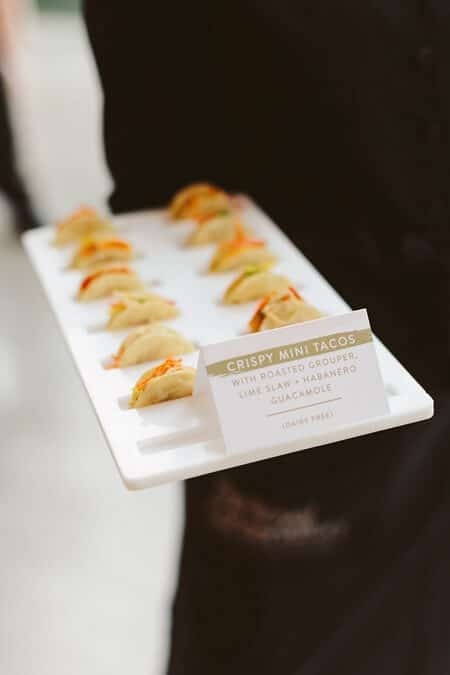 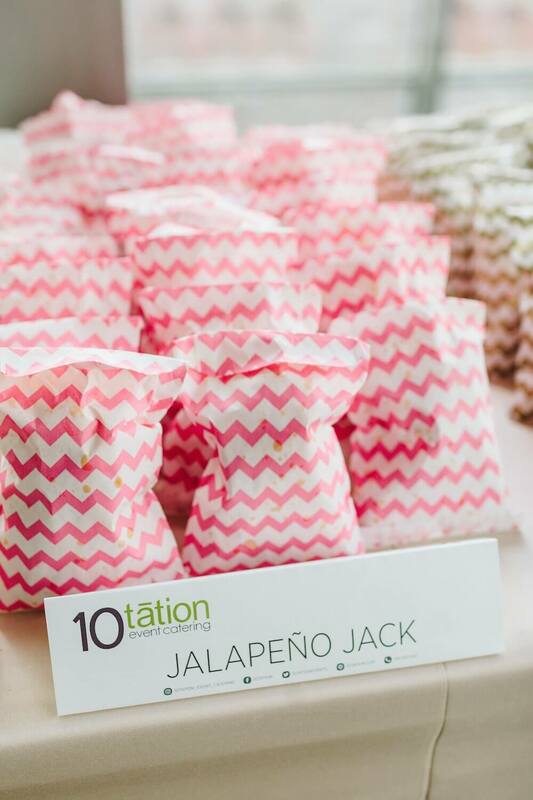 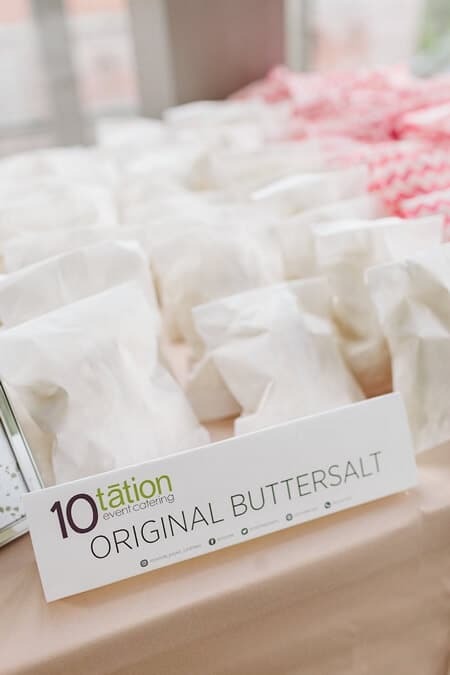 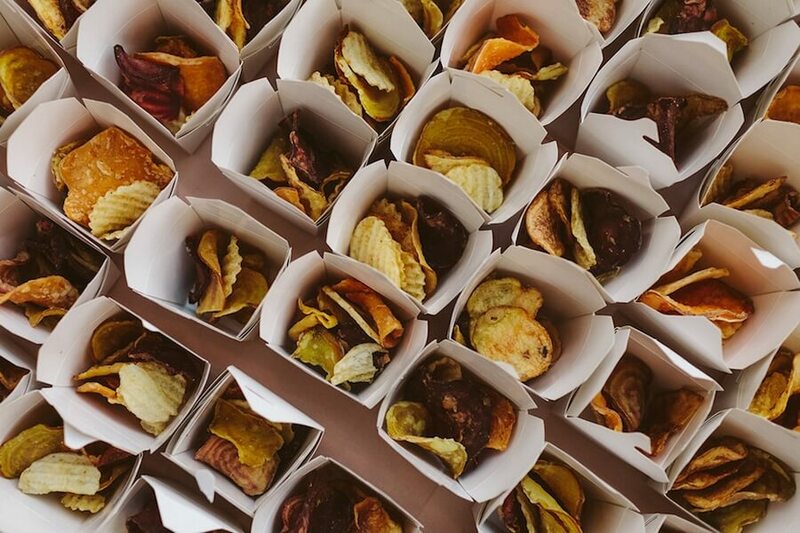 Guests also couldn’t get enough of the scrumptious catering and delicious desserts provided by 10tation Event Catering.